Do you have a favorite bakery in Nashville or Middle Tennessee? PBS is compiling a list of the country’s best bakeries and we think a few from our area should be included. Click here to submit information about your favorite bakery, then be sure to tune into NPT Tuesday, Aug. 25, for new specials from culinary traveler Rick Sebak. This time he’s off to explore A Few Good Pie Places (7 p.m.), then he spotlights A Few Great Bakeries (8 p.m.). 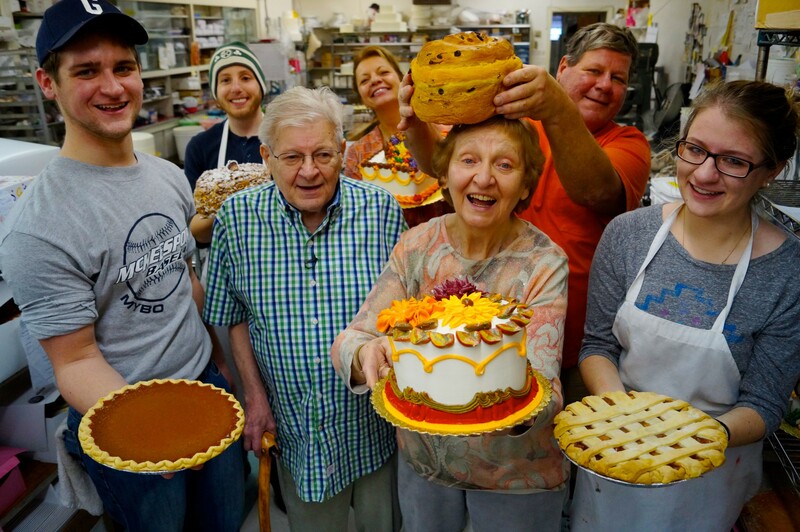 Rick Sebak’s A Few Great Bakeries. We’ve got more scrumptious programming for you this coming week. Watch the last Season 1 episodes of The Great British Baking Show at 8:30 and 9:30 p.m. Saturday, Aug. 29. Season 2 starts 8:30 p.m. Saturday, Sept. 12. Do you have room for more? We offer an evening of cooking shows each week on NPT2, our secondary channel. Tune in Wednesdays for three hours devoted to gastronomic programs such as Cook’s Country, Martha Bakes and Lidia’s Kitchen. Find a complete schedule and episode descriptions at wnpt.org/schedule. This entry was posted on August 22, 2015 at 11:18 am. You can follow any responses to this entry through the RSS 2.0 feed. You can leave a response, or trackback from your own site.